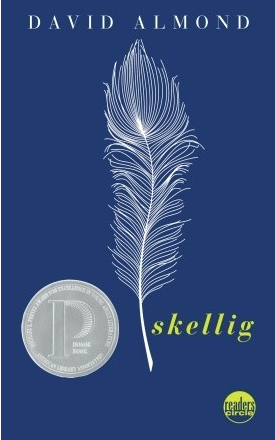 Skellig combines a mundane story with something magical and mysterious. Michael is ten years old when his family moves into a new house. His baby sister is very ill and there’s no telling whether she will survive. One afternoon Michael enters the dilapidated garage at the end of the garden and discovers a strange being. It looks like a shrivelled man, covered in spiders and cobwebs. Is it an old man? Is it a bird? Is it an angel? Michael is traumatized by the events at home, by the constant fear his baby sister might die, and his parent’s decide to keep him at home. One day, after he has discovered the strange being, he meets Mina. Mina shows him a world he didn’t know. Her mother, a free-spirit who doesn’t believe in schools, teaches Mina at home. Mina knows a lot about evolution and birds and painting; she loves to draw and quotes William Blake. Her mother teaches her many things other children learn at school but she also teaches her a sense of wonder Together the two children find out who or what Skellig is. Even if you don’t normally pick up children’s books – don’t miss Skellig. He lay facedown and his wings continued to quiver into shape above him. We drew the blankets up beneath them, felt his feathers against the skin on the backs of our hands. Soon Skellig’s breathing settled and he slept. Whisper rested against him, purring. We stare at each other. My hand trembled as I reached out toward Skellig’s wings. I touched them with my fingertips. I rested my palms on them. I felt the feathers, and beneath them the bones and sinews and muscles that supported them. I felt the crackle of Skellig’s breathing. I tiptoed to the shutters and stared out through the narrow chinks. “What you doing?” she whispered. “Making sure the world’s still really there,” I said. ‘Skellig’ is one of the really great books of children’s literature and as you say has something to say to any reader, whatever age they might be. Several years ago I had the privilege of being the public orator when my university gave David Almond an honorary doctorate. He is as delightful as his books and it was a really pleasure to be able to say to an audience of over two thousand, “go out and read him”. I’m glad to hear you felt the same. I think it’s an extraordinary book. How wonderful that you met him. I thought he must be a very special person. You can just feel it when you read the book and the afterword. You are exactly right Caroline, a worthy book is a worthy book. It does not matter if it is a children’s book or not. You may this book so appealing. I want to read it! I hope you do, Brian. It’s one of those book you want everyone to read. It’s so special. I’d be very interested to read your thoughts. I remember my son reading this in school and being very struck by it. I meant to read it with him, but that was when I was teaching at the university and so I couldn’t find the time to do it – I should read it one of these fine days. I agree that the best children’s books are amazing. A Wrinkle in Time is the one I think is every bit as good for adults as it is for kids. I think you’d really like this. I have still not read A Wrinkle in Time but you put me in the mood to do so. I find there’s a huge difference between children’s book for younger readers and YA. I haven’t seen any YA novels so far that were as timeless. Wonderful review, Caroline! I have wanted to read David Almond’s books for a while now and now after reading your review, I want to get ‘Skellig’ now. I loved Antoine de St.Exupery’s ‘The Little Prince’ when I first read it – I think one of my college professors recommended it 🙂 I hope to read it again one of these days. ‘A Wrinkle in Time’ is wonderful. I think Neil Gaiman borrowed some things from it in his ‘The Ocean at the End of the Lane’ 🙂 Hope you enjoy ‘A Wrinkle in Time’. I wll look forward to hearing your thoughts on it. Thanks, Vishy. I really hope you’ll read it. I’m sure you’ll like it. He was really inpisred when he wrote this. I read a few interesting small artciles by him in which he wrote how he became a children’s author. I hadn’t heard of this author before, Caroline. My TBR list is so long I’m trying to be very selective about what I add, so I’ll pass on this. I have to read Coraline before I pick up any other children’s books. I’d say this is even better than Coraline but Coraline is creepier. But the TBR piles a certainly an argument. Le Petit Prince was one of the first books I read in French and it’s a favorite. Your review is so compelling I’ll have to read this soon, Caroline. I also loved Gaiman’s novel. I can’t wait to hear what you think of it. I think it’s brilliant. I have so longed to read Skellig, but it keeps escaping me in the onslaught of books demanding to be read. 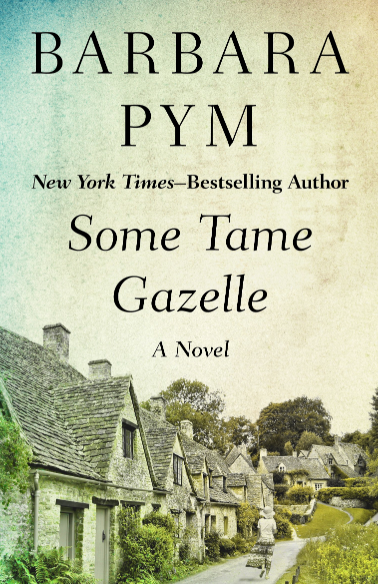 I have appended my book list to remind me to read this one very soon! Thank you for continuing to read children’s and YA books and noting their worth for adult readers! I hope you get to read it. I knew it was said to be very good but I never thought it would be this wonderful. There are so many great children’s books out there, I feel like I’ve embarked on a long and wonderful journey. I hadn’t heard of the book so I checked it out on Wikipedia. It says that there is a link with a Márquez short story called “A Very Old Man with Enormous Wings”. Two more items added to my TBR! I’ve never really read children’s books, but I know I’ve missed out on some excellent reads. I did read Heidi and Black Beauty when I was a child and was SO traumatised by them both. After that I figured I had better stick to reading my Dad’s racy thrillers instead. I loved Enid Blyton, though. I *was* George. 😀 Maybe someone needs to host a children’s book week. I definitely have some catching up to do. I didn’t know but that makes a lot of sense. I’ve read that Marquez story. I read Heidi as well and it traumatized me a bit too. I read a couple of children’s books as a chld but somehow only a few classics like Pinocchio, Alice in Wonderland and Heidi. 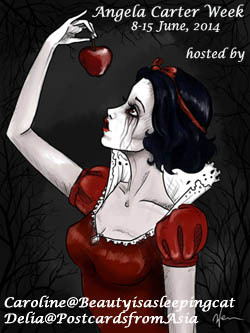 I’m planning on hosting something like this, btw. 🙂 But focussing really on younger children, not necessarily YA. I find that there’s a huge difference in the quality of writing. Maybe it also depends whether the authors write for both children and grown-ups? I’m glad you’re planning on hosting an event. 🙂 Maybe I could finally read Alice in Wonderland! I imagine there is a wide range of abilty with language and storytelling among children’s book authors. Have you heard of Jackie French? She’s an Australian who writes for both children and adults. I’ve started to look into children’s books more systematically this year. I haven’t reviewed most of them because some are so short and I read quite a lot. The rnage is amazing. Here’s one you’d like. It’s a picture book called Virginia Wolf (no typo!). I love it. I think a week, combined with a readalong would be great. I’ll think about it. Oh Alice in Wonderland is a trip. Thanks for the suggestion. I saw she wrote a book about Wombats. They are so cute. not read this but he was on desert island disc and this was made into a tv series in the uk . I saw it was made into a film but it’s so special – I don’t ant to ruin the memory by watching the movie.